Like every other stage of life, the transition to life as a senior is full of twists and turns, triumphs and anxieties. Many seniors feel more confident than ever before and relish the chance to pass on their wisdom to the next generation. They know who they are and what they like. Many also struggle with the wear and tear of time on their bodies. Nearly half of all seniors over 65 say they need help with an activity of daily living, such as bathing or cooking. Loved ones often step in to offer that support. Yet for many seniors, aging has opened up new and unmet needs that erode quality of life. Assisted living can meet a senior’s unmet needs while preserving their independence. If you’re searching for assisted living in Anne Arundel County, Maryland, here’s where to start. Before you begin your search, you need to be clear about what you need. Try making a list of the activities you or your loved one need help with, such as bathing, grooming, cooking, or transportation. Then decide your care needs based on this list. If you just need help with a few daily activities, assisted living may be best. For seniors with dementia, however, memory care often provides more appropriate support — especially if they have begun to wander or make dangerous decisions. Many seniors find themselves at an awkward in-between juncture. They need more than assisted living offers, but are not yet ready for memory care. The Arbor Company offers a unique program called Bridges, designed to bridge this gap. It preserves independence while offering safe, supportive care in an environment tailored to your loved one’s needs. Assisted living is about more than safety and care. The best assisted living communities keep your loved one busy, active, and engaged with a wide range of daily activities and special events. So spend some time thinking about the activities that will be the best fit for your loved one. Do they love spending time outside, or prefer quiet indoor routines? Are they into fitness? Do they enjoy arts and crafts? Is your loved one a social butterfly or a quiet loner? The right community offers events to support and encourage your loved one’s unique personality and interests. Does this offer easy access to fun family activities? If you want to go on an outing with your loved one, the location of the community should make doing so a breeze. Anne Arundel county is home to numerous excellent attractions, including Sandy Point State Park, the Maryland State House, the U.S. Naval Academy Museum, the Chesapeake Children's Museum, and numerous excellent restaurants. Is the community convenient to your home or office? Visiting your loved one should be easy — not something that requires fighting traffic or a long drive. 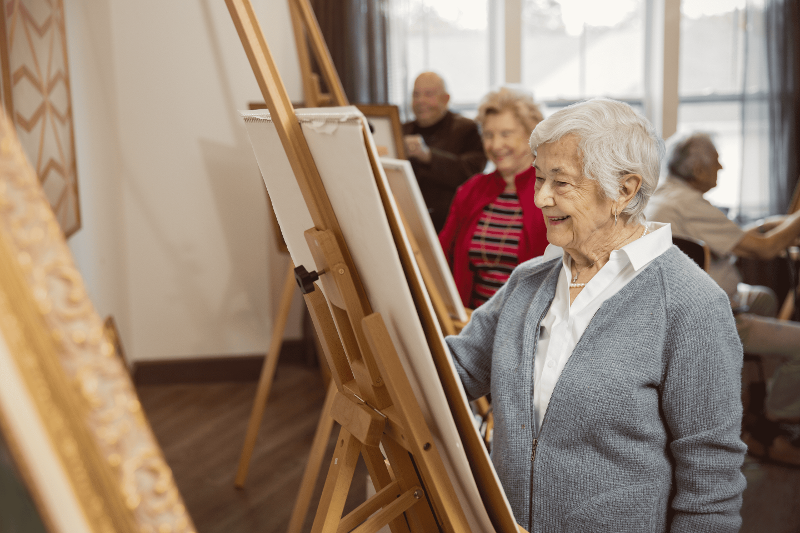 Is the community near activities your loved one will enjoy? Is there transportation to nearby attractions or to grocery stores and other simple conveniences? How are property values in the surrounding area? If you hope to move near your loved one, consider whether you would enjoy living near the community they choose. Perhaps the most important step in the search is to compare communities. By visiting several different communities, you’ll get an idea of what each offers. This can help shape your expectations and inspire you to ask questions and dig deeper. Consider visiting during a community event or meal. More residents will be around, making it easier to talk to them, get a feel for the community’s culture, and picture life in the community. Ultimately, making the decision requires you to trust your gut. Don’t feel pressure to make a quick move or to settle. Keep looking until you find the perfect community for your needs. It’s out there if you’re willing to look. The Arbor Company has proudly served seniors and their families for three decades. We would love to help you choose the perfect community for your needs. To learn more, download our free Journey to Senior Living Guide. Arbor Terrace Waugh Chapel will provide you or your loved one with the level of personalized services needed to continue living life to its fullest. We’d love to talk to you about your needs. Give us a call or stop in for a visit. Interested in learning more about our assisted living community inAnne Arundel County, MD? Request more information by filling out the form below.